Educating our customers to make wise financial decisions. Full Service Asphalt Paving & Patching, Seal Coat, Crack Fill, Striping, Mill & Overlay Company. No obligation estimates on all projects. Asphalt paving contractors in Denver have gotten a bad wrap throughout the years, and in some cases rightly so. We began Colorado Pavement Solutions to correct the mistakes we saw asphalt contractors making throughout the industry. As our name implies, we’re here to provide solutions. During our years in the industry we learned the intricacies and nuances of working with asphalt in the Colorado climate. Whether it’s parking lot paving, striping, or any of the other services we offer; we’re happy to educate you on the proper way to do the job, whether you hire Colorado Pavement Solutions or not. Learn more about the services we offer below and give us a call when you’re ready to discuss your next project. Our estimates are always free and our work is always guaranteed. We simply want to deliver a solid service and handle customers with honesty and integrity. Filling Asphalt Cracks is an important part of maintaining your parking lot and extending the life of your asphalt. Minimize wear-and-tear, repel water, prevent staining, and protect your asphalt from the harmful Colorado sun. 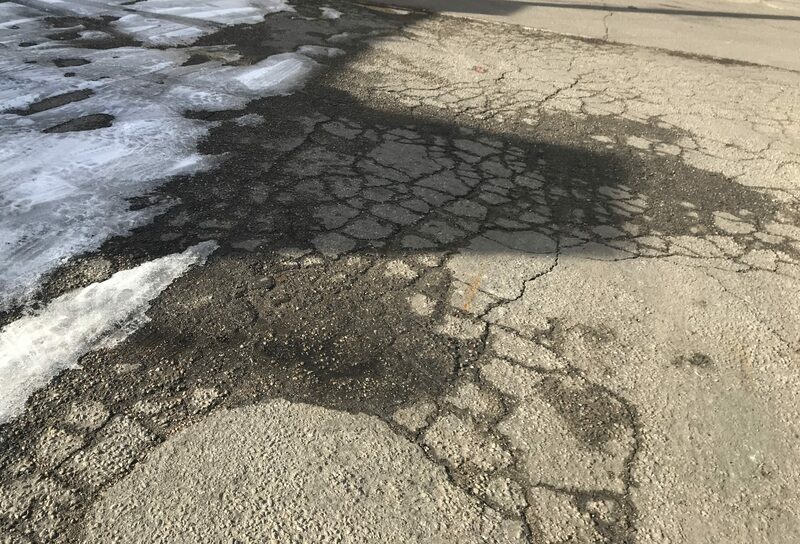 Repair failed asphalt to avoid damaging vehicles by patching potholes. New asphalt paving projects for commercial properties. Maintain your driveway or parking lot by removing and replacing the top layer of asphalt. Revitalize the look and safety of your parking lot with a fresh striping and marking. Luke and his crew did a wonderful job on our driveway. The price was right and the work was excellent. The crew was very professional and fast. I will recommend your services to our friends. Our parking lot was way overdue for attention. CPS did a great job and came in under budget. 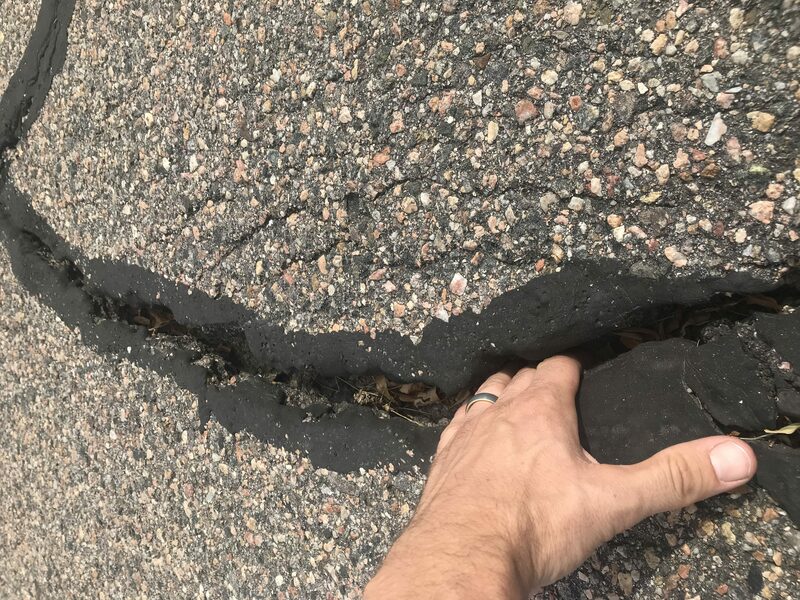 Asphalt repair in Denver isn’t always easy street. 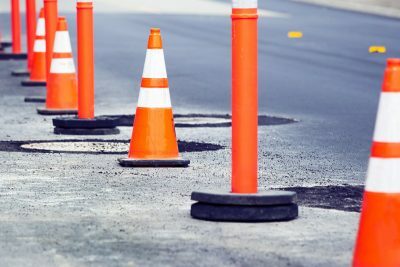 Find out everything you need to know about Colorado Pavement Solutions, our services, and the asphalt industry by reading our blog. What is the proper repair for your parking lot or sidewalk issues?